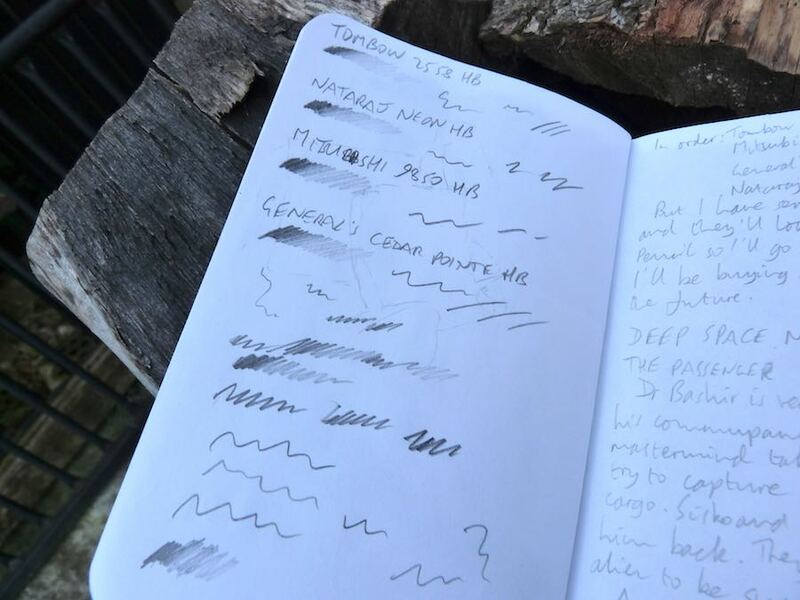 Field Notes Notebook Review – Pens! Paper! Pencils! Field Notes are most famous these days for their ‘Colors’ editions, released every three months and very much sought after. I’ve tried to avoid getting sucked into that rabbit hole because the completist in me would want them all but the curmudgeon in me would never pay some of the outrageous prices the rarest editions sell for. I also found my perfect pocket notebook quite some time ago and nothing has shifted the Calepino from that top spot. That said, there is a whole world of great notebooks out there that I felt I was missing out on and so I changed what I took around with me, switching to carrying two notebooks in my trusty Davis Leatherworks cover. One of these is a Calepino plain paper notebook that I use for sketching. The Calepino is great with fountain pen ink and with splashes of watercolour. 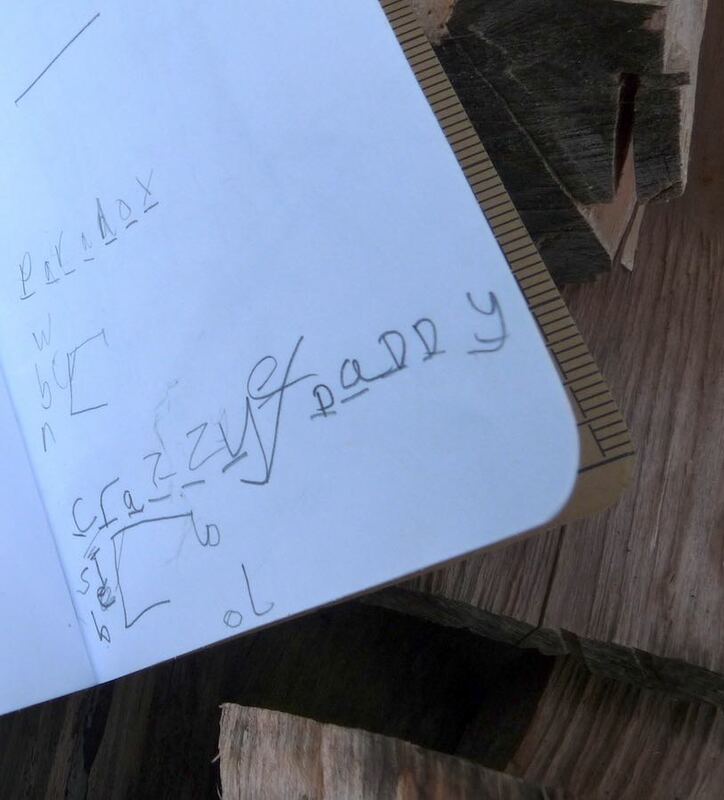 The other notebook is for quick sketches, experimental sketches, notes, lists and games of hangman with the kids. Hangman with my daughter brings its own challenges. 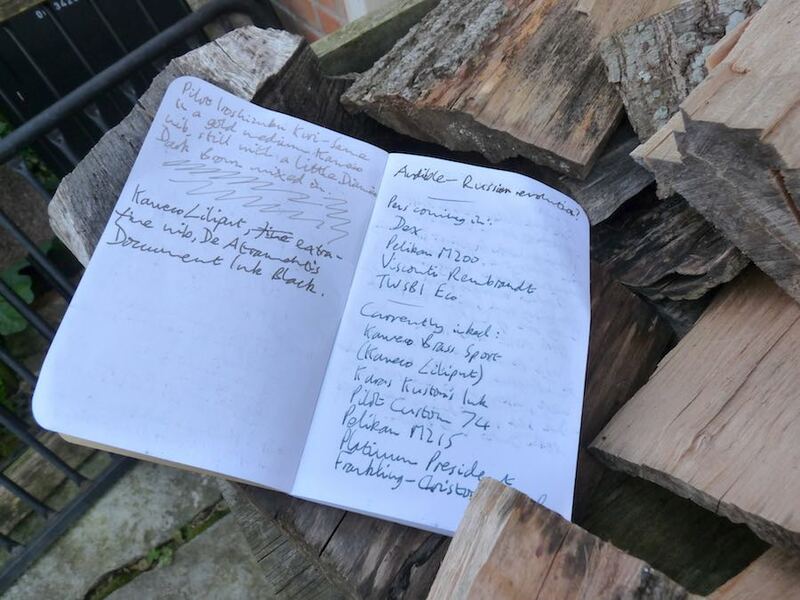 The first notebook in this new system had, of course, to be a Field Notes notebook, and these are my thoughts after using one up over the course of about five weeks. 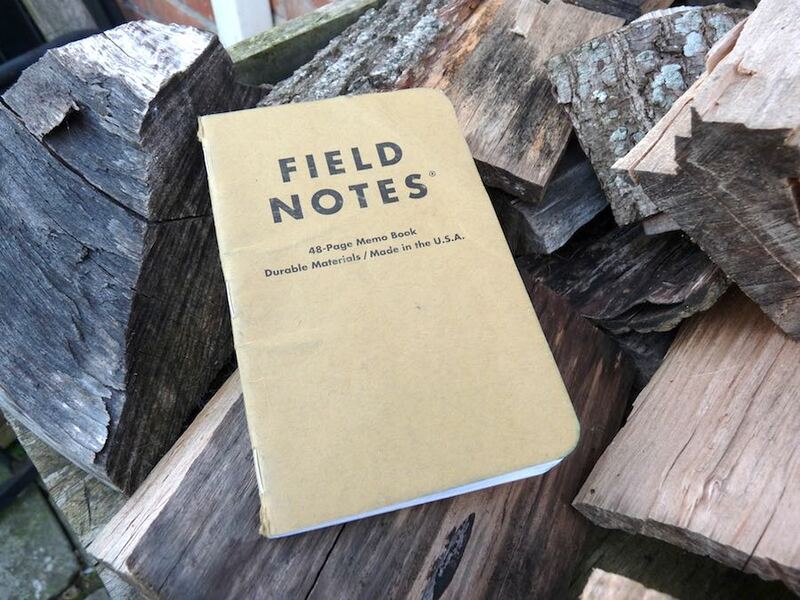 Field Notes notebooks are a pocketable 3.5″ by 5.5″ (9 cm by 14 cm), with 48 pages held in place with three strong staples. 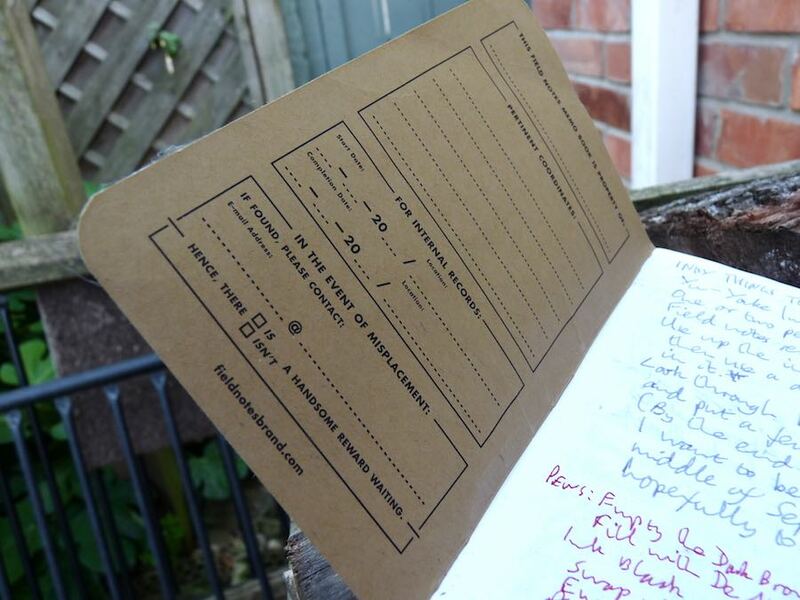 The cover is a stiff cardboard and the paper’s available in plain, grid or lined varieties. No claims are made about the fountain-pen-friendliness of the paper and this is just as well: fountain pens bleed and feather and show through. For quick notes with a fine-nibbed pen this isn’t an issue and of course the paper manages perfectly well with pencils and most gel pens or ballpoints. Day to day this a perfectly fine notebook. It’s no better nor worse than dozens of other similar notebooks. It coped with over a month in my back pocket (in a cover, admittedly) without falling apart and with just a frayed corner, from the elastic that held it in place in the cover. During this time it went for a weekend in a beach hut on a Cornish beach and was used to briefly try out an order of twenty-six pencils from CW Pencils. It kept scores in card games, was used for quick little sketches and for lists of my son’s birthday presents and of things to do for my parents’ golden wedding anniversary. It even spent a week or so in Italy. If you’re not worried about using fountain pens then this standard Field Notes notebook does the job. If you’re into the traditional American craft and working-the-land kind of thing then they’ll have added appeal. Field Notes are quite easily found online around the world, too, which helps in terms of cost and convenience. All in all, a perfectly reasonable notebook. But, the more I think about them, the more strongly those Colors editions are calling to me. They’re much more than just reasonable, and I’m finding it harder and harder to resist. 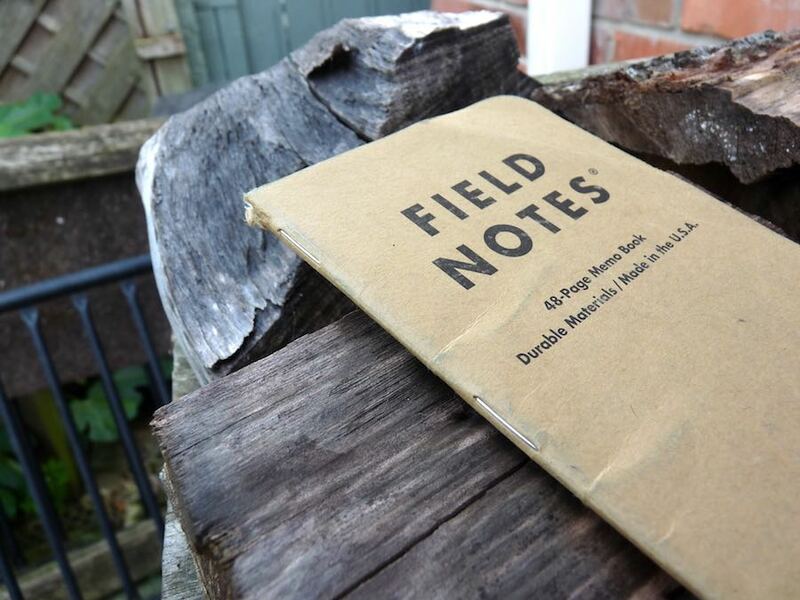 . .
My pack of three Field Notes notebooks was sent to me as part of the sponsorship deal I have with Pocket Notebooks, a great independent UK business, definitely worth checking out if you’re this side of the pond. Another possibility for sketching are Seawhite’s soft cover books. 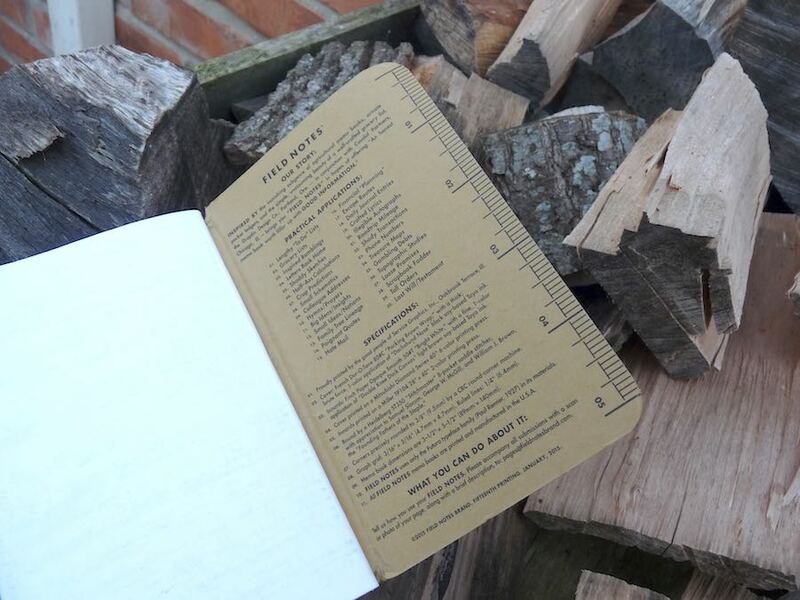 I think they’re A6, rather than the “pocket” size of Field Notes et al (but that works for me with the lined Clairefontaine books I use as the other side of this particular diptych). I’ll admit to being tempted by the latest Colours (Shenadoah) but the thought of *really* liking them, and never being able to get them again always puts me off.